There are a million ways to start a blog. In my experience, this is the easiest (and cheapest) option to begin a self-hosted blog. There are countless articles debating WordPress and Blogger. Trust me… you want WordPress. A self-hosted blog means you own your own domain name (URL) and pay to have the site hosted by a provider. The alternative is to begin a free blog on WordPress.com or Blogger. This is fine in the short-run, but eventually you will want the /wordpress or /blogger off your URL and to be able to customize your site down to every tiny detail. Beginning with a self-hosted WordPress blog will save you time and stress in the future or having to swap your content over to make it look more professional. Let’s get started. Now you need a place for your website to live. A hosting company provides the computer that stores all the files of your website. 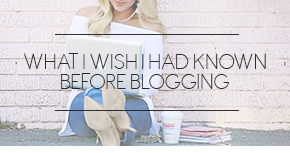 It’s the only expense you will have to pay to start your blog. 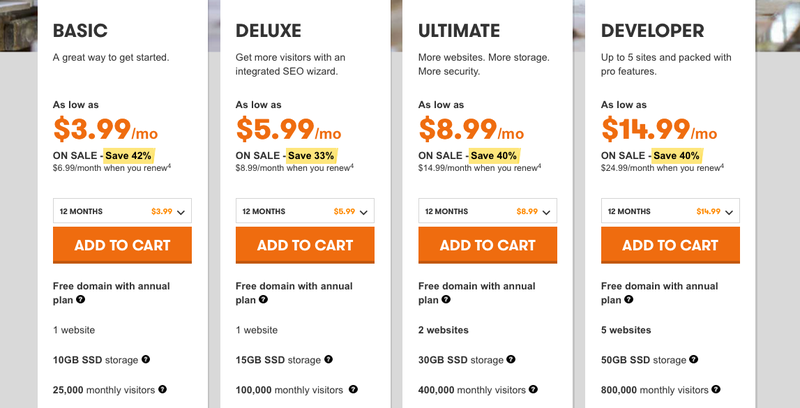 Luckily, GoDaddy is the easiest, best-priced, and offers the best support of any providers out there. 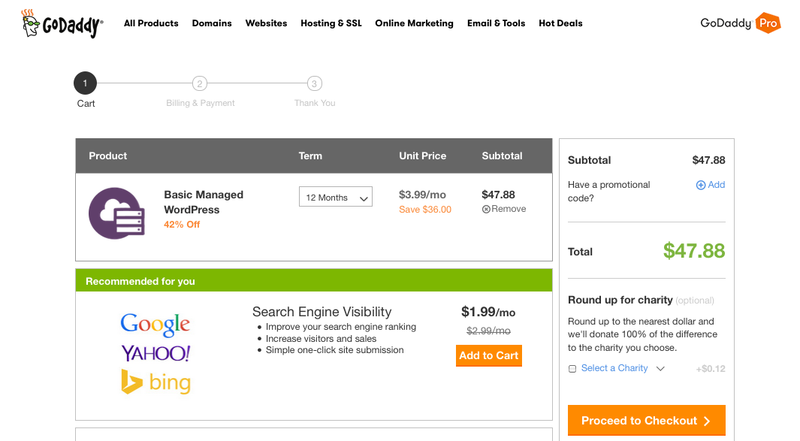 Just visit the WordPress hosting page of GoDaddy here. Scroll down to the plans and add the Basic Plan to your cart. 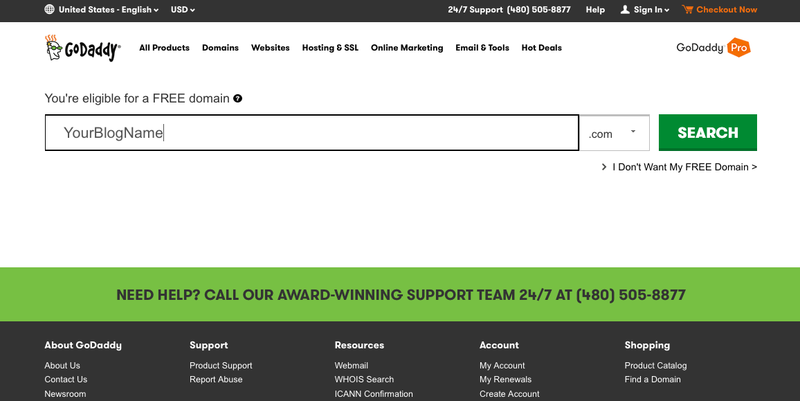 GoDaddy will then prompt you to add your free domain. Here you will add the name you picked earlier. Then check out. 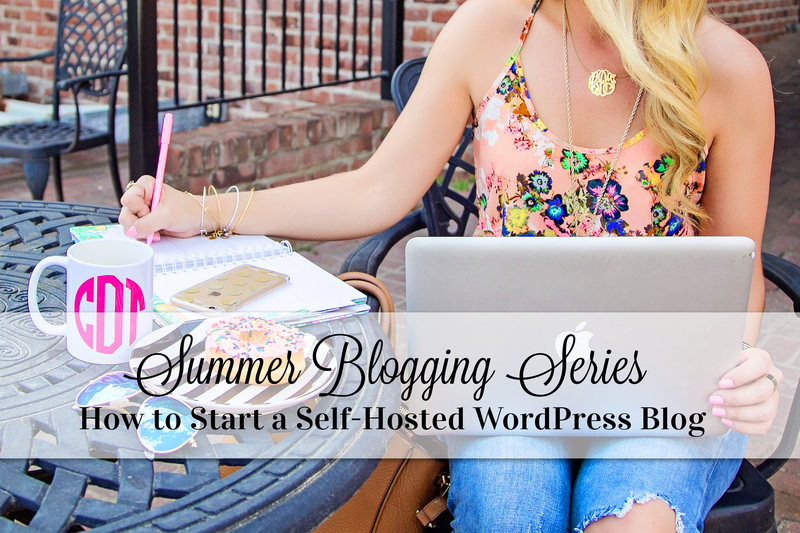 It is only $47 for everything you need for the first whole year of your blog! If you get lost, pick up the phone and call their customer service (480-505-8877) and follow the prompts to Hosting and then WordPress Support. They will walk you through the whole process in under five minutes. Once you have finished checking out, click Manage to launch into the back end of your new blog! It’s time to add your first blog post. In the back end of your WordPress site, hover over Posts in the left-hand navigation and click Add New. Add a title and then your content in the large box below. Check out the video below to see how to add text and images. Click Publish in the right navigation to send your first blog post live! Then check out how it looks by clicking on the name of your site in the top left corner. Voila! You have a self-hosted WordPress blog just like this one. I will walk you through picking out a theme and customizing your site to perfection in my next installments! For now, just get comfortable with adding blog posts in the back end of your new WordPress site. Baby steps 😉 And as always, shoot me an email at cortneydryden@gmail.com if you run into any issues. It Takes Time & Dedication: If you don’t have at least an hour a day to kill, don’t waste your time with this. I changed jobs recently and had to cut back on my blogging. Because of this, I noticed a decline in readership. Visitors will come back for new content, so give the people what they want! There’s No Shortcut: With every ounce of my being, I wish there was. There are thousands of articles on how to gain followers fast, but the trick is to post quality content consistently. I saw my sharpest spike in followers once I cut out filters, thought out my photo composition, and posted about one-two photos a day. No one owes you anything; they will follow you because they have something to gain from your posts. People use Instagram and blogs for three main things: to escape, to learn, and to be inspired. Keep these things in mind when creating content and be the blogger you would want to follow. 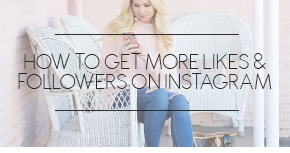 Here is a great article on branding your Instagram to increase your followers. SEO is Everything: Learn it. Live it. Get Google Analytics right off the bat to see which posts are generating the most traffic and investigate why. Use Alt Text and Tags to bump up page views. Use clear titles and Google Keywords to give your posts the best chance of being found through search engines. I’ll elaborate more on this in the coming weeks. Comparison is the Thief of Joy: I know you scroll through the perfect latte photo, perfect sunset photo, perfect caught off guard with wind blowing in her hair photo and think how perfectly perfect these girls’ lives must be. I’ve hung around with enough bloggers in my day to know how bat-sh!t crazy we can look trying to get the perfect shot. Or how far out of our way we went to get macarons and peonies. Don’t ever ever ever compare your beginning to someone else’s middle. Your Friends Will Think You’re Crazy: And you are. But the best people are! You will stick a white posterboard under a coffee mug to give the illusion of white counter tops. You will stand on a chair in a public restaurant to get the best shot of your avocado toast. And by God, you will strut down the crowded street in a sequined dress and stilettos in the dead of winter for your New Year’s Eve post. That’s dedication, my friend! You Don’t Need to Accept Every c/o Item You’re Offered: I struggled with this one in the beginning. Because, hey! It’s free! What’s not to like? Well, if you don’t love it and you tell the world you do, you’re a liar. Point blank. Brands that align with your tastes and interests will find you eventually. Be true to yourself and honest with your readers in the meantime. 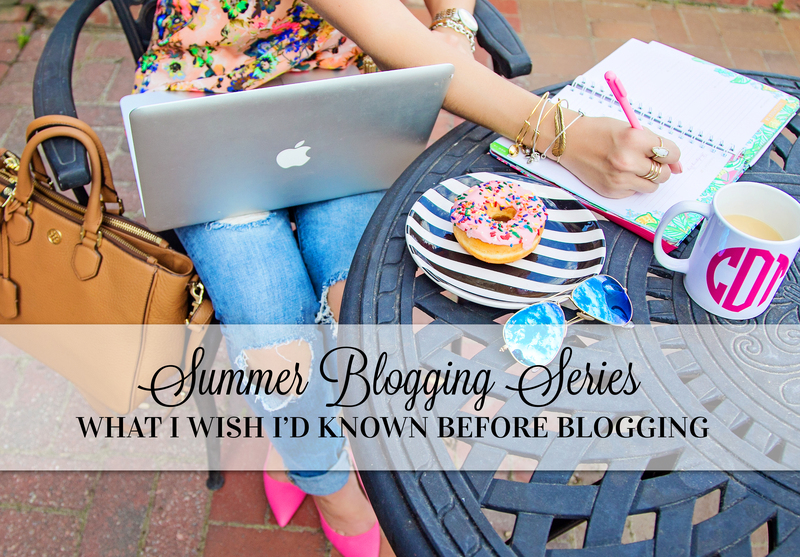 Go to as Many Blogger Events as You Can: It’s all about networking! And the best part of blogging (and one I never saw coming) is the friendships you make from it. 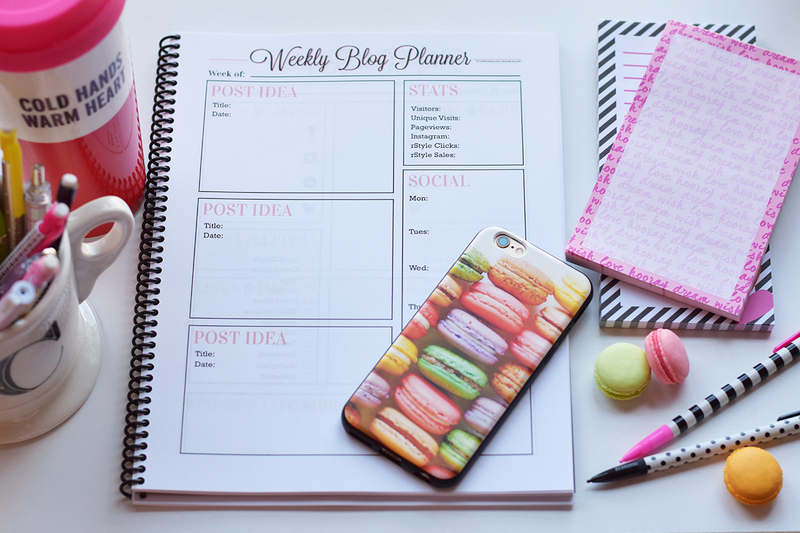 Bloggers tend to be motivated self-starters (heck, we’re all one-woman businesses!) and those are awesome people to surround yourself with. Plus, collaborating exposes you to their readers and vice versa. Invest in the Right Things: No no, I’m not talking about Valentino Rockstuds. I’m talking about a DSLR and PhotoShop. You know what I think when I see a pair of Rockstuds? Great! 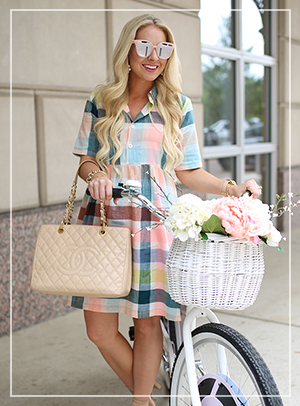 A blog full of things I can’t afford… on to the next! But when I see high quality photos, perfectly aligned and a blurry bokeh background, I’m hooked! 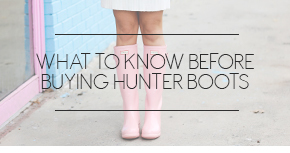 Be Different: Ok ok, sometimes you’re going to like what other bloggers are wearing. I get it. I love my Karen Walker sunnies even though when I wear them I look freakishly like Blair Eadie. But don’t copy people. There are going to be people who want to follow you for the unique snowflake that you are. Own it!